Former EuroCup champion and unbeaten Lokomotiv Kuban Krasnodar is joined by three teams that have been close to EuroCup glory before – Cedevita Zagreb, Dolomiti Energia Trento and Buducnost VOLI Podgorica – to battle it out in Group G of the Top 16. Each of the four teams in this group had prior success in the EuroCup, and each of them is anxious to get back to where it once was. Of course, none can match what Lokomotiv has done, lifting the title in 2013. Lokomotiv, which has just become the first team in the EuroCup history to open the season with 10 wins for the second time, would also not mind catching its record of 19 wins to start the competition, which the team did in 2014-15. Cedevita reached the semifinals as a competition newcomer in 2011 and Trento accomplished a similar feat two years ago. That was also the only previous time Trento appeared in the EuroCup. The perennial Montenegrin champion Buducnost reached the quarterfinals in consecutive season, the last time when they were swept in a two-game series by Lokomotiv in 2013. However, it is not only the teams, but the head coaches who would not mind repeating some of their past success. Buducnost head coach Aleksandar Dzikic led Lietuvos Rytas Vilnius to the 2012 EuroCup Finals, which was the same year Cedevita’s head of bench Jure Zdovc guided Spartak St. Petersburg to that stage and in the process won the 2012 Coach of the Year award. Trento’s Maurizio Buscaglia earned that same honor two seasons ago when he got Trento to the semis. Sasa Obradovic reached the semifinals with Lokomotiv last season and led underdog ALBA Berlin to a 16-4 record and a quarterfinals appearance in 2013-14. Cedevita and Buducnost may have never met in the EuroCup action before, but they sure have plenty of history between each other carrying over from the Adriatic League. In those games, Cedevita holds a 13-10 edge over the past eight years, but Buducnost has beaten Cedevita in four of the past six head-to-head meetings dating back to the 2015-16 season. That includes Buducnost winning the last two times it visited Croatian capital. It also includes their game earlier in November, when Buducnost edged Cedevita 66-60 at home behind 13 points and 5 assists from a former Cedevita point guard Nemanja Gordic. 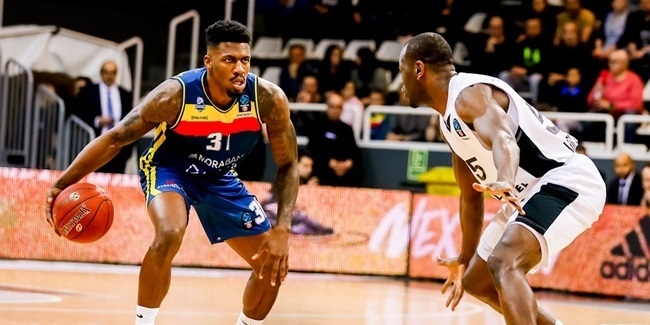 To make things even more intriguing, the two sides are set to play on February 3 in Zagreb in the Adriatic League before traveling to Podgorica to play again in the final round of the Top 16 on February 7. Apart from Cedevita, Buducnost also has some history against Lokomotiv. 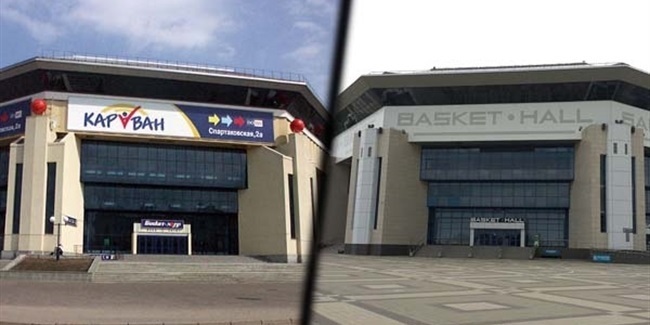 Two sides have played four times in EuroCup, and Lokomotiv has won in each one of those contests. The two previous times Lokomotiv visited the Montenegrin capital, it won by 18 and 14 points, respectively. 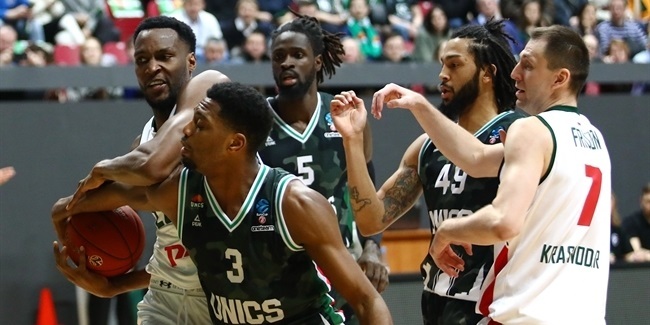 Lokomotiv is the only unbeaten team in the competition, and it is hard to argue whether it has gotten to this point thanks to its offense, or its defense. Lokomotiv does not only hold the best record, but also the highest point difference in the competition this season (+141). Lokomotiv has the top defense, which allowed a league-low 71.4 points per game, and the third highest-scoring offense, which put up 86.3 points per contest. When it comes to offense, Coach Obradovic’s team has nine players scoring more than 8.3 per game, with Joe Ragland leading the way with 13.0 and Ryan Broekhoff worth 12.1 per contest. The team makes 56.9% of its two-point attempts, which is second-best, and is tied for second (with Cedevita) in making 10.1 threes per night. Lokomotiv’s efficiency comes from its good ball movement, which can be seen its third-best 20.1 assists per game, as well as from the transition game that starts with Lokomotiv’s superb defense. Not only has Lokomotiv allowed a league-in low points per game, but has allowed opponents a mere 68.5 average team performance index rating per game. How good is that? Buducnost and Cedevita rank as sixth and seventh in that same category, but averaging 84.3 and 85.3 per game, respectively. That’s a 16-point average index rating difference! Lokomotiv also leads the league holding opponents to 46% two-point shooting, and opponents also make only 1 of every 3 three-point attempts, which is sixth-best. With so many weapons, and playing well on both sides of the ball, Lokomotiv would be favored in any Top 16 group. Lokomotiv has done more than any other team in the competition, but its Group G opponents do have strengths and balance of their own, which can be found by taking a peek into the statistics. Three of the four teams in this group were ranked among top nine in scoring in the regular season: Lokomotiv was third (86.3 ppg. ), Cedevita eighth (83.4 ppg) and Trento ninth (83 ppg.). The odd team out is Buducnost, which scored the second-fewest points (77.6 ppg.) among the Top 16 teams. Just like Lokomotiv has nine players very close in scoring, the rest of Group G teams operates in a similar manner. Trento’s Dominique Sutton ranks seventh in the competition in scoring with 16.5 points per game, but he is the only player in the top 15 in that category from these four teams. Trento has three more players scoring in double figures, and Cedevita has three-players scoring more than 12 points per game. Meanwhile Buducnost gets more than half of its all points (50.1% to be exact) from its backcourt trio of Nikola Ivanovic (14.2 ppg. ), Kyle Gibson (12.9 ppg.) and Gordic (11.8 ppg.). Trento leads the EuroCup in steals with 9.3 per game, and during its four-game winning streak that number rose to 11.3 per contest. Cedevita has the third-best three-point shooting percentage (42.8%) and it will test it right away against Trento, which has the competition's best three-point defense, holding opposition to 30.7% three-point shooting. And on an interesting trivia note, Buducnost and Trento each allow just 7 three-point shots made per game, while Lokomotive and Cedevita each make the second-highest: 10.1 per contest. Something will have to give in Round 1.